Peri happens to be one of our favorite styles and here it is in our Bay Twill! Our pull-on waist band and straight leg are a great slimming fit for any body. Plus, the fabric is so soft, comfortable and is so flattering. Our signature "J" embroidery on the back pockets adds a touch that only Jag can . Peri Straight is rated 3.5 out of 5 by 21. Rated 1 out of 5 by justdiana1 from What happened? I have a pair of straight leg Jag jeans size 10 (no cutsie name) that I love! I wanted another pair, so I bought Peri, same size and they are awful! Too small! No give! Where are my comfy Jag jeans? Very sad! Rated 1 out of 5 by Barbara from NOT true to size I bought two different colors, in my regular size 6. The pants fit fine in the morning and then bag out and lose their shape as I go through the day. For the price, this is NOT what I would expect! Rated 4 out of 5 by bostongirl from They hold their shape really well, look formal I really enjoy Peri jeans in this grey fabric. they look formal enough for work - i don't like khakis! And they hold their shape well. im usually between 6 and 8. so i got 6. but i really should have gotten a 4 as they did stretch a bit from first wear. i might keep these and get a smaller one for when my body fluctuates. the only downside is they're a bit long so have a hard time wearing them with flats. might have to get them tailored. it's probably bc theyre boot-cut so they fall in the back very far. Rated 2 out of 5 by Travel4fun from Nice twill, but sizing is off. Looking for a twill pant and this fit the bill, but found the sizing to be off. Have other Jag jeans, the same size, but this was too tight and short. 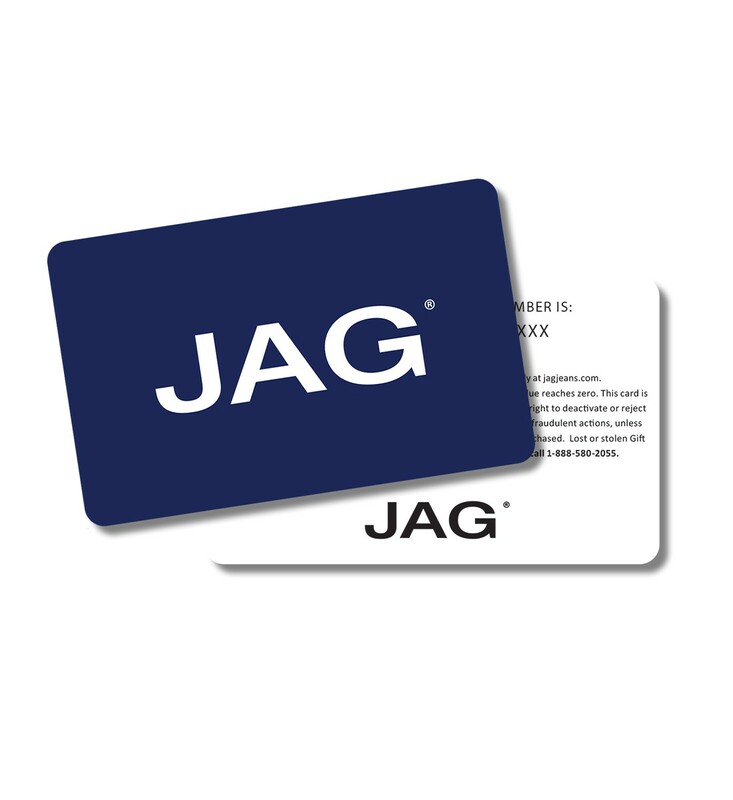 Will continue to shop Jag products. Rated 5 out of 5 by maggiesmom from Grrrrrreat Jeans! I have the Peri in every color cords Jag makes. I had to shop elsewhere to get the midnight blue in my size, 6. Seems to have been out of that size for over a year!!??!! No one does this style as well as Jag does+the straight thighs are perfect for me....as well as the 33" inseam. Please.....more colors, please ( such as white and winter white???) in the cords!!!! One note: I take a 6 in the cords (and everywhere else), but an 8 in the twill. The twill doesn't seem to stretch as much and i could barely get them past my very thin thighs. Rated 4 out of 5 by Brooklyngirl from Cords are great ! I bought some corduroy's last winter and loved them. I bought another pair this year in a different color and truly still love them! They fit me like a glove ..true to size, hold their shape and never lose their color. Unfortunately I cant say the same for the cotton blend of Peri. They lose their shape easily, by the end of the day they feel an entire size larger and just do not "hug" my body like the cords. So, I am sticking with the cords even though I love the color of the Peri's cotton stretch blend. Rated 3 out of 5 by bluebird from Wide These jeans are very comfortable like all the other Jag jeans, but they are not for someone with long thin legs. They are wide from the thigh down. Attractive for some, but not if you are slender with thin legs. Rated 4 out of 5 by GJRS from More options Love to one pair of jeans I received. Every other style I wanted had no size 8 listed. What's up with that? ?